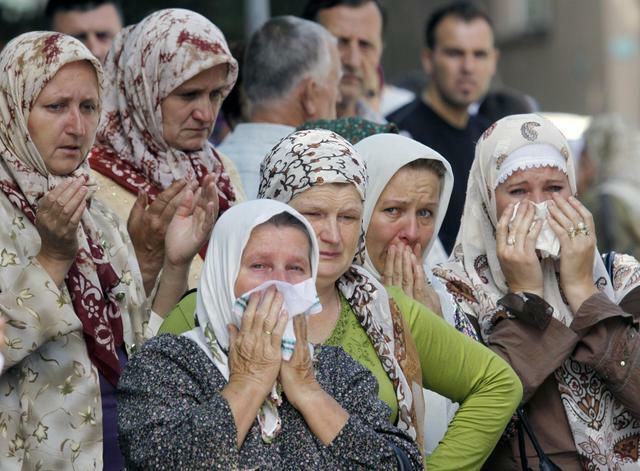 JNN 26 May 2014 : Muslims in Bosnia-Herzegovina have complained about the increasing incidents of abuse they encounter in the town of Zvornik after a young man was attacked in front of the local Rijecanka Mosque. In a seperate incident, an 81-year-old ethnic Serb killed a Muslim man with an axe after a public dispute after the latter refused to receive Easter eggs during the Christian festivities. The next day, the Muslim man, Ahmed Hasanovic, was found dead in front of his home in Kozluk, near Zvornik. “In the urban area of Zvornik in recent times several incidents were reported, which have disturbed Muslims in the town,” the Islamic Community in Tuzla said in a press release statement. “On May 6, in front of the Rijecanska Mosque, an unknown young man verbally attacked and harassed students of the Behram-bey Madrassa [Islamic high school] from Tuzla who were performong a religious-cultural programme in the Home of Culture,” it said. “It is worrying that these events [attacks on Muslims] are being repeated at a time when Bosniaks from these areas are remembering their loved ones who suffered in the bloody war and when they will gracefully and peacefully bury the remains of victims from Zvornik,” the statement added. According to Balkan Insight, the Muslim cemetery in Zvornik’s main mosque was recently vandalized after eggs were thrown at tombstones. Another four Muslims were attacked in the town last year by a gang of young Serbs as they were walking to the mosque. The town of Zvornik, which was once a Muslim dominated town, saw a mass exodus of its Muslim residents during the 1992-1995 civil war after acts of ethnic cleansing by the Serbs. Since the war ended, only a few Muslims have returned home. This entry was posted in Europe and tagged Ahmed Hasanovic, Attacks, Bosnian Muslims, Muslim, Muslims, Threat, Zvornik. Bookmark the permalink.